With comprehensive team of engineers and developers experienced in cloud application development, Jicho helps growing and large enterprises to enjoy the benefits of cloud computing services. Designing and running applications on cloud is costly and cumbersome and demand for the same is increasing tremendously. 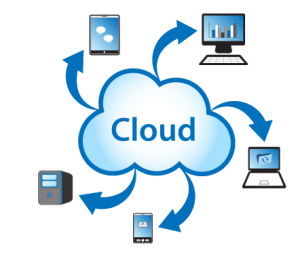 Jicho's cloud computing services are specialized to ensure the finest quality and cost effective applications. Our consultants guarantee you to provide effective web application development on cloud. We have experience in multiple development platforms such as Amazon, VMware Cloud foundry, Google apps Engine, Microsoft Azure, Appcara, AppFog, Engine Yard, Standing Cloud, and Mendix. We are flexible in developing applications either web or mobile as per the clients requirement. Our advisory experts will assess and recommend the exceptional cloud composition solution set and build framework for cloud applications. Our experts create innovative and creative cloud solutions that is easy to assess and use and also migrate cloud ready applications. Application Migration Services: includes re-host applications to the cloud, re-engineer applications for the cloud, or replace with COTS cloud options. Public, Private and Hybrid Cloud Management Services: Options include public cloud hosting (e.g. Amazon Web Services, Microsoft Azure). COTS Software Deployment to the Cloud: Applications readily moved to the cloud include Microsoft SharePoint-on-demand and SAP-on-demand. Use of Cloud VMs for Development, Testing and Training: Includes support and testing of large scale Web applications such as e-commerce sites. Jicho's cloud testing services continuously test application performance and functionality by using proven methodologies to maintain cloud applications, resulting in lowering maintenance cost.